最近の災害関連や地形・地質関連の国際雑誌にはGISとlandslide をキーワードとした論文が多く見受けられるようになってきました．また，さまざまな機関からGIS-Landslideに必要なDEMなどのGISデータが供給されるようになり，研究が容易になってきました．しかし，一方でGIS-Landslideの研究者間の技術的問題の交流やデータ共有などは不十分で，研究者はそれを望んでいるようです．そこで，このたび設立した研究会では，GIS-Landslide および関連科学の研究者間でネットワークを確立し，技術的問題点を相互に理解・解決し，必要データを共有し，効率良く研究を進めるためのワンステップとしたいと考えます．Purpose of The GIS-Landslide Workshop; Recently, many GIS-Landslide papers are appearing on recent international journals, and, variable organizations are providing GIS data such as DEM, therefore, it has become easy to study GIS-Landslides. However, interchange on common data and technical problems between researchers of GIS-Landslides, is not enough, and they are expecting it. 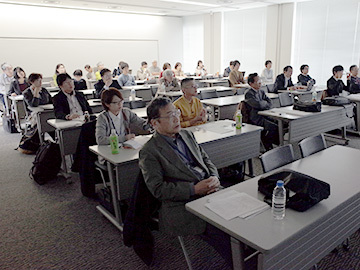 Therefore, this planned event is the first step to establish the network for understanding and solving the problems, and holding the necessary GIS data in common, between the researchers of GIS-Landslides and related science, by mutual communication. Copyright: GIS-Landslide研究会, 2010. 「シンプル」テーマ. Powered by Blogger.